We are one of the best website design company in Mumbai. Mumbai is on of the busy and commercial metropolitan city in India. Its exponential growth is constantly increased across all the industry. You can find many small, medium and big web design companies in Mumbai. But Webbazaar has it own expert mark as one of the best website design and developing company in Mumbai. There are so many startups, entrepreneurs planning to take their business online and looking for some trusted service provider. For them, webbazaar is the right choice to go. Our Web Bazaar Express express package is an ideal package which offers our new and existing business owners in taking their business online and to the global market. 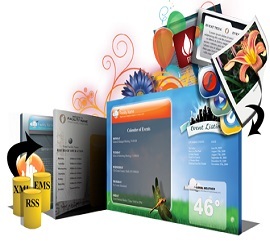 Why fit in when you can stand out with excellent web design services? While following the latest design trends can help your website to look and feel contemporary to users, you also run the risk of being unmemorable - just like everyone else. And when your business is working hard to carve its identity, in the real and digital world, why should your website fall behind? Donâ€™t risk blending in when you can stand out with the help of our website designing services in Mumbai. We believe that your website is a natural extension of your brand. 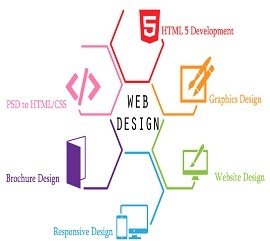 We offer you expert web development services and comprehensive solutions to ensure that the web design meets your customers' expectations and even exceeds them while staying true to your company's philosophy. In doing so, we create not just a website, but your online brand identity, which customers in Mumbai and around the world will continue to associate with your brand, long after their first visit. We harness technology as an enabler to meet your business goals.We use the latest Open Source and proprietary tools and techniques to enhance ease of access and use for visitors while harnessing our years of proven experience in the field to develop fluent navigation that is a perfect fit with your users' browsing habits. All our designs are thoroughly tested for compatibility across multiple browsers and platforms to give visitors a consistent, uninterrupted experience. Our progressive approach to utilizing technology has made us the premiere web development company in Mumbai. Technologies is adept at developing solutions for backend processes that bring in revenue and form the backbone of your organization. We specialize in the development of intelligent Content Management and reporting systems that cut through the chaos of unmanaged data to deliver actionable insights, which, in turn, enhances your business's bottom line. 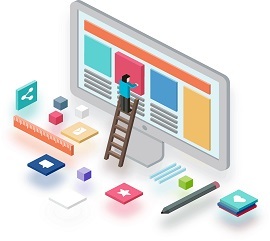 All our designs are backed by robust frameworks that can accommodate technological evolutions and upgrades so that your website stays contemporary and relevant over time. Our web design company in Mumbai works to ensure sites are complaint with search engine norms to help your website to climb the ranks organically, receive more traffic and hence, more exposure. Further, we continually enhance our skills and knowhow to stay ahead of the time and deliver more value to our clients.